- Red Bull The Blue Edition – Red Bull Energy Drink, with the taste of Blueberry. Artificially flavored. The world is spinning at great speed, so professional life is certainly a daily challenge. 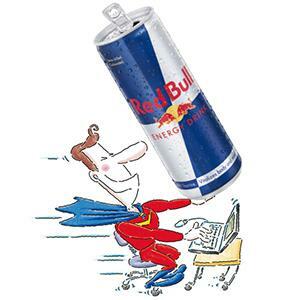 For all those who have to fully focus on their jobs, a chilled Red Bull gives additional support. Whether it’s during intense meetings, conference calls or creative brainstorming sessions, in your first job or as the chief executive. Whenever athletes are in need of wings they turn to Red Bull. The effects of Red Bull Energy Drink are recognized by sport enthusiasts and top athletes all over the world. Good skills and constant training are half the battle. If you want to keep the pace up with your teammates or competitors make sure you have a can of Red Bull at your side to take your game to a higher level. Final sprint before the exam? 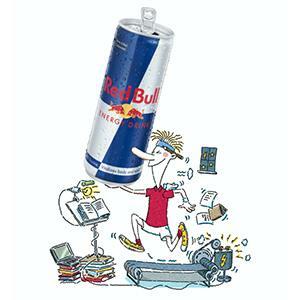 Red Bull - Vitalizes Body and Mind. For university students all over the world the blue and silver can belongs to their lectures and study sessions as much as pencil and paper does.They appreciate the effects of Red Bull Energy Drink whilst a challenging day between auditorium and library or in leisure time with their fellow students and friends. 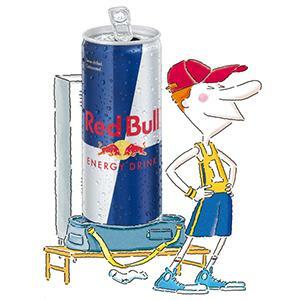 In 1987, Red Bull not only launched a completely new product, it created a whole new product category — energy drinks. From day one, RedBull has been giving wings to people and ideas, setting many milestones in sports and culture. 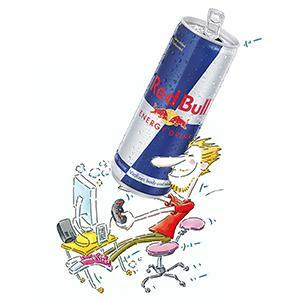 Red Bull is one of the best energy drinks to have by your side. Red Bulls is appeciated worldwide by top athletes, busy professionals, college students and travelers on long journeys. For those who wish to have Red Bulls benefits without sugars: The sugar free Red Bull variety Red Bull Sugarfree provides the wings of Red Bull Energy Drink without sugars. Red Bull was the first global energy drink brand to address the consumer request for sugar free energy drinks and launched its Red Bull sugar free varieties. Caffeine: Caffeine has already been known for its stimulating effects on the human body by ancient civilizations who consumed it from natural sources like tea, coffee, cacao beans & cola nuts. Taurine: Taurine is an amino acid, naturally occurring in the human body and present in the daily diet. It is involved in a wide range of biological processes. B-group vitamins: Vitamins are essential micronutrients that are required for maintaining normal body functions. B-group vitamins play an important role in energy metabolism, such as the build-up and break-down of carbohydrates and protein. Sugars: Red Bull Energy Drink is made with real sugars. Sugars are well known carbohydrates and can be found in many foodstuffs from fruits and fruit juices to other beverages including energy drinks. You add to your basket a 24 pack of Red Bull Blue Edition, 12 Fl oz per can. Red Bull is very aware of its environmental responsibility and is constantly striving for improvement. Red Bull has made a conscious decision to use 100% recyclable aluminium cans, and we developed our Red Bull Coolers which use up to 45% less energy than conventional fridges.